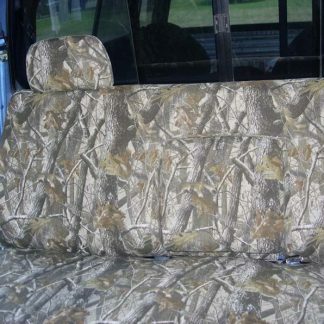 Seat covers are two piece and include 2 headrest covers. 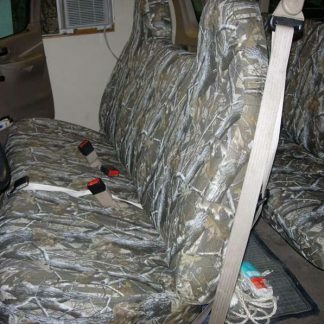 Seat covers are two piece, Top and Bottom. 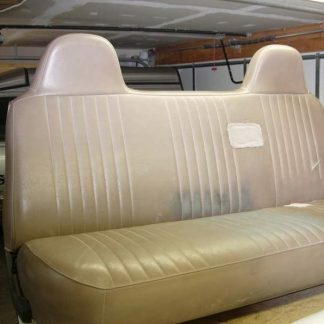 Solid Bench seat, NO headrests, seat back tips forward. Seat belts come through the bottom cushion. 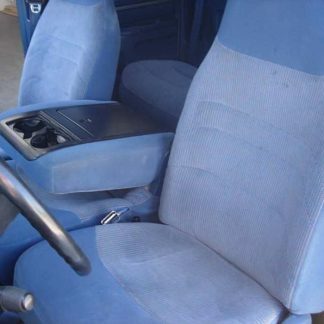 40% Driver seat bottom, 60% passenger bottom, equal sized bucket backrests, opening console with a single beverage holder. 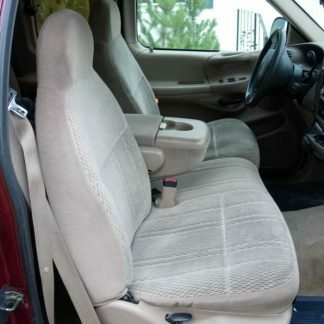 40% Driver seat bottom, 60% Passenger bottom, equal sized bucket backrests, opening console with teo beverage holders. Fits: Regular, Super Cab, Super Crew XLT. Complete set includes: middle bottom and console cover. No lid cover available. 40-20-40 with roll top lid that exposes two beverage holders, and a second plastic opening lid for storage. 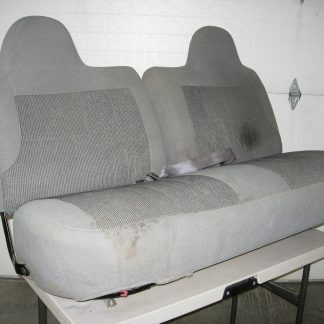 Seat cover is two pieces, Bottom and Top. 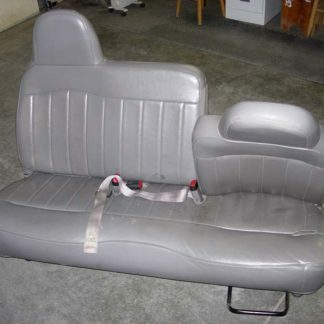 Solid Bench seat with integral/non-adjustable headrests. 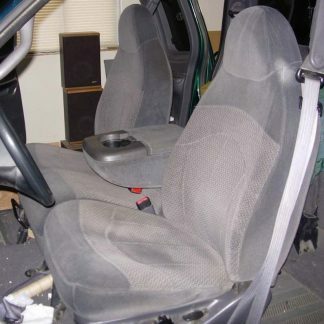 Measure from the center of the driver seat belt opeing to the center of the passenger seat belt opening, it should be 15 inches.